Dollar Tree store at Aramingo and Castor Avenues in the Port Richmond section of Philadelphia. 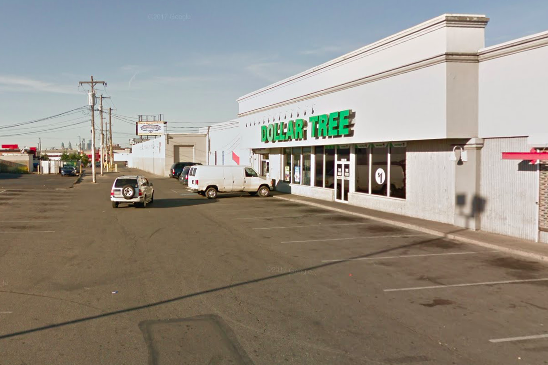 Philadelphia police are investigating the deaths of two homeless men who were allegedly struck by a teen driver Monday night in the parking lot of a Dollar Tree store in Port Richmond. Authorities said the driver, a 15-year-old Hispanic female, was training in the lot of the convenience store at Aramingo and Castor avenues. At one point, investigators said the vehicle "lunged forward" and knocked the two victims into the wall of the store. Emergency personnel responded to the scene just after 8:45 p.m. on Monday night. One of the victims, a 54-year-old white male, was pronounced dead at the scene. The second victim, a 55-year-old white male, later died at Hahnemann University Hospital. Police said no charges have been filed at this time and an investigation remains ongoing.